On Mother’s Day, May 8, from 9 a.m. to 3 p.m., Sierra Bonita Grill will be serving its signature Southwestern brunch dishes, plus specials that have been created for the occasion. 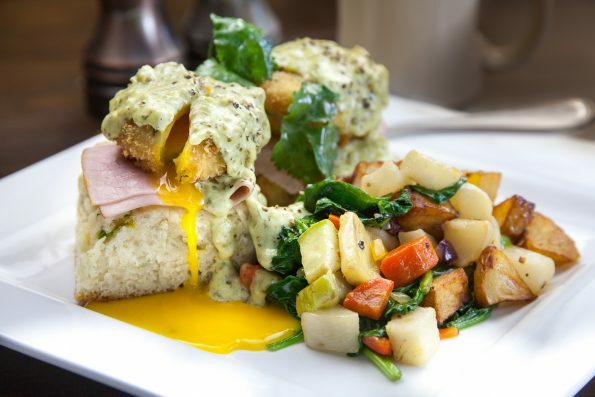 Popular selections include the Southwestern Benedict: panko crusted eggs atop green chile beer biscuits, topped with Cure 81 Ham, and roasted poblano hollandaise, served with roasted root vegetables ($14). The Atole Pinon Hotcakes are griddled blue corn masa and toasted pinenut cakes, topped with strawberry butter, served with bacon ($12). The Cowboy Hash features roasted root vegetables tossed with Schrieners linguisa sausage and chorizo, topped with fried eggs, salsa verde and salsa fresca ($14). Specials created just for the occasion include a Beef Medallion Eggs Benedict topped with crab and chimichurri hollandaise sauce, served with roasted potatoes ($18). Complete the brunch with a Bloody Mary or Mimosa special for only $15. Sierra Bonita will also be serving its dinner menu from 3 to 9 p.m. Dinner specials include a Wood Grilled Pork Tenderloin served with a sauté of roasted rutabaga, broccolini, mushrooms, and baby heirloom tomatoes, topped with pineapple jalapeno jelly ($27). Also on the menu will be a Pan Seared Mexican Sea Bass over asparagus puree with a roasted flat steak cauliflower and port wine reduction ($29). Sierra Bonita Grill is located at 6933 N. 7th St., Phoenix, AZ 85014. For reservations, call 602-264-0700 or visit www.sierrabonitagrill.com. On Mother’s Day, Sunday, May 8, Paul Martin’s American Grill will have extended brunch hours from 8 a.m. to 3 p.m. They will be serving a three course, prix fixe brunch menu for only $20 per person. The brunch includes fresh baked blueberry bread with lemon honey butter, seasonal fruit, a choice of one entrée, plus an alcoholic/nonalcoholic beverage. 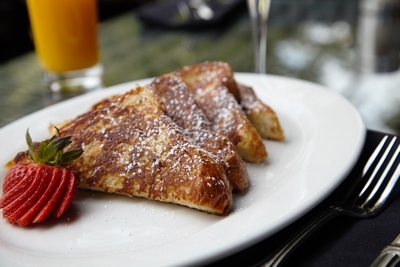 Select from a variety of entree choices, including French Toast with vanilla bean infused cream, cinnamon, nutmeg, and maple-bourbon syrup, or a traditional Eggs Benedict with poached eggs, canadian bacon, and housemade hollandaise sauce. A gluten-free option, the Applewood Smoked Bacon Omelet features three eggs, bacon, mushrooms, tomato, Tillamook cheddar and sour cream. For a heart healthy entree, go for the Organic Spinach, Mushroom, and Tomato Egg White Omelet with Tillamook white cheddar and salsa verde. The meal comes with a choice of coffee, fresh squeezed juice or a brunch-time cocktail. Choose from a variety of options, such as a Lemosa featuring Ventura County limoncello and Piper Sonoma sparkling wine or a Bellini with essence of peach, honey syrup and sparkling wine. Add an additional cocktail for only $4. All day long, until 9 p.m., Paul Martin’s will also be serving its full dinner menu, which includes a three-course Prime Rib dinner special. The special is $27 and comes with an organic green salad, all natural prime rib, mashed potatoes, and house made cookies and ice cream for dessert. Paul Martin’s American Grill is located at 6186 N. Scottsdale Rd., Scottsdale, Ariz., 85253. For more information, call 480-991-9342 or visit www.paulmartinsamericangrill.com.